LaToya Early is the founder of Chase Great EnterprisesTM LLC a company that provides vision development strategies to aspiring and rising entrepreneurs. LaToya is also a wife, woman of God, mother and purpose enthusiast who has devoted her life to helping others gain authentic success through strategic planning and vision development. She utilizes her ability to help innovators express their entrepreneurial desires to its greatest potential. She maximizes her coaching gift by offering creative coaching techniques that will edify, exhort and empower both men and women who are ready to live in purpose full-time. LaToya creates coaching programs designed to turn a part-time hobby into Full-Time Purpose™. 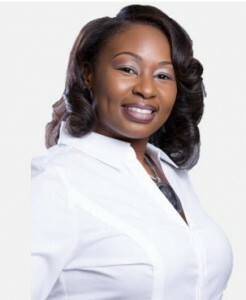 Besides empowerment speaking and one on one vision coaching, LaToya is most known for her step-by-step business development masterclass that has helped both aspiring and rising entrepreneurs actively chase their goals and dreams by eliminating distractions and creating a clear plan for success. Her masterclass and coaching programs empower others to Write the Vision for the entrepreneurial success desired. While working in her company full-time, LaToya has also published Deliver Me from Me, Write the Vision, It’s More Than a Vision Board, and The Power of Your Purpose. She has also key-noted several amazing empowerment events, commencement ceremonies, featured on an array of inspirational women blogs, television and radio interviews. LaToya has tackled the journey of entrepreneurship by understanding the process, recognizing her progress and persevering through adversity. Her assignment is to help entrepreneurs during the development process and to encourage the unbeliever to believe that with a strategic plan all things are possible. Through her company she enforces a challenge and encourages every believer to chase the greater within them! She offers accountability, empowerment, development strategies, vision planning and an innovative approach to a lifestyle of success in purpose on purpose. Z.A. Tambuzi, the owner and founder of Success Builders Inc. Tambuzi is a leader, a visionary, a teacher and an organizer of People. 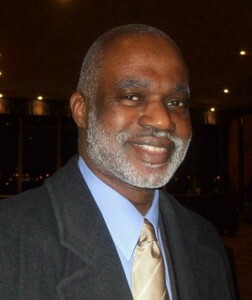 He is the Founder of Success Builders Inc. He is a man who lives with a purpose, that can be found in the mission statement of Success Builders Inc. He is a graduate of North Carolina Central University. He did his graduate studies at Michigan State University. He has taught Math, Biology, Swahili, Cultural Development as well as a plethora of Social Science disciplines. The focus of his mission is community development, cultural restoration and developing the keys to Human Excellence. For 25 years, he has conducted life and business planning sessions for individuals and organizations interested in achieving their personal, professional and business goals. capacity to maintain a bull’s eye focus towards your goals.